Today we volunteered at Manna Food Center. 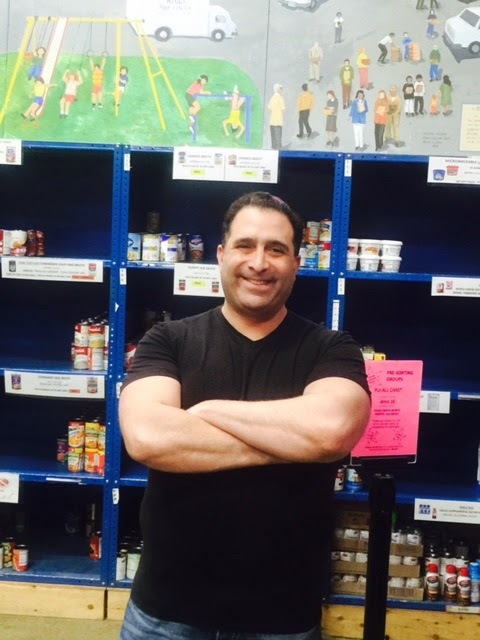 "Fighting hunger and feeding hope in Montgomery County." There were huge bins of food that had been donated and collected from various organizations and charitable people. A group of us from the synagogue, Magen David, met at the center. We checked the dates on each item to ensure the food was not expired and still good to eat. We sorted the food by type into different boxes, crates, and shelves. There was areas for cans, pastas, cereals, pantry items, and more. The area that had the most stuff when we were done sorting...you guessed it--the junk food like cookies and chocolate--sort of unfortunate, but probably a comment on our times for what people actually buy and eat (despite all the calls for healthier eating and living). 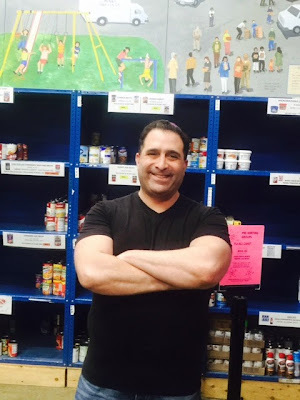 There was one area specifically where we placed food for kids who don't have enough food for the weekends (when they don't have the school lunch program etc. ), and they come on Fridays and fill their backpacks with milk boxes, crackers, and other things they can easily take home with them. This really made me think about the dire straits that some families are in and especially the impact on the children.